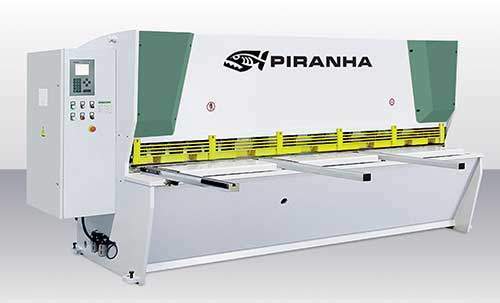 Piranha hydraulic guillotine shears are available for reliable plate shearing from 1/4 inch all the way up to one inch plate. Below are a few points to consider about our lines of hydraulic shears, along with specifications for each. As part of our Perfect Machine Process, every Piranha-Whitney shear or press brake is rigorously inspected in our Rockford, Illinois, facility–so that it’s ready for seamless installation in your shop.